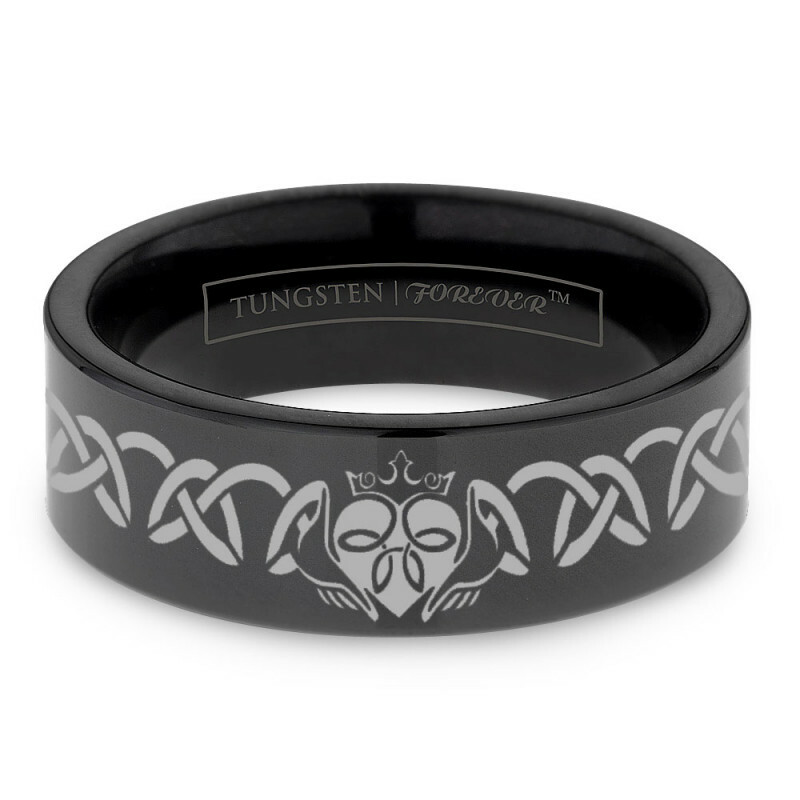 In Celtic art, woven patterns were used to represent eternal love. 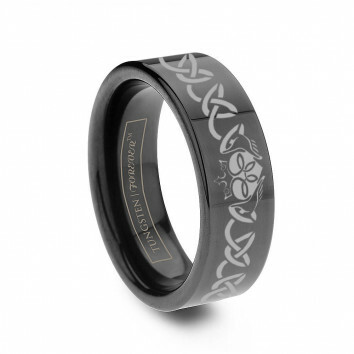 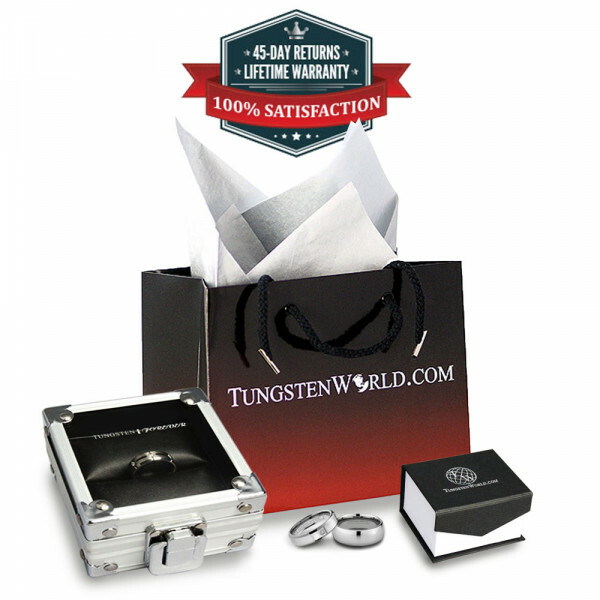 Choose the COMPANION black tungsten ring with woven laser design and you'll have a beautiful depiction of your eternal love forever laser engraved onto the rings exterior. Each woven pattern is completed on your choice of 6mm, 8mm or 10mm pipe-cut, black ring and comes full circle with a sacred heart.